يشكل فندق Kingsford Smith Motel بموقعه الممتاز في قلب Hamilton نقطة انطلاق ممتازة لاستكشاف بريسبان. يقع الفندق على بعد 6. Km من مركز المدينة، ويؤمن الوصول إلى أهم مراكز المدينة. يضفي محيط الفندق اللطيف وقربه من Eat Street Markets, رصيف بورتسايد, Brisbane Cruise Terminal & Portside سحراً خاصاً على هذا الفندق. إن Kingsford Smith Motel حريص على توفير الراحة للنزلاء، فلا يوفر الموظفون جهداً في تقديم أفضل الخدمات وضمان حسن الاستقبال. يمكن لضيوف الفندق الاستمتاع بالميزات التالية على أرض الفندق: واي فاي مجاني في جميع الغرف, مرافق مخصصة لذوي الاحتياجات الخاصة, تسجيل وصول/خروج سريع, تخزين الأمتعة, واي فاي في المناطق العامة . 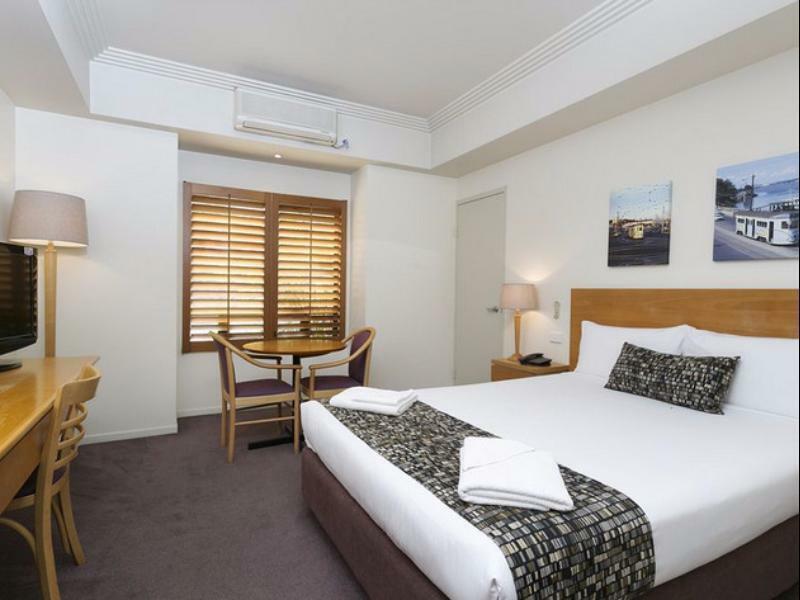 في Kingsford Smith Motel غرف نوم يزيد عددها عن 36 صممت بذوق وعناية لتوفر لك كل وسائل الراحة . بعضها يحتوي أضاً على تلفزيون بشاشة مسطحة, اتصال لاسلكي بالإنترنت, اتصال لاسلكي بشبكة الإنترنت (مجاني), حوض الاسترخاء, غرف لغير المدخنين. يمكنك طلب اللائحة الكاملة للخدمات في الفندق ومن بينها حمام سباحة خارجي, حديقة. 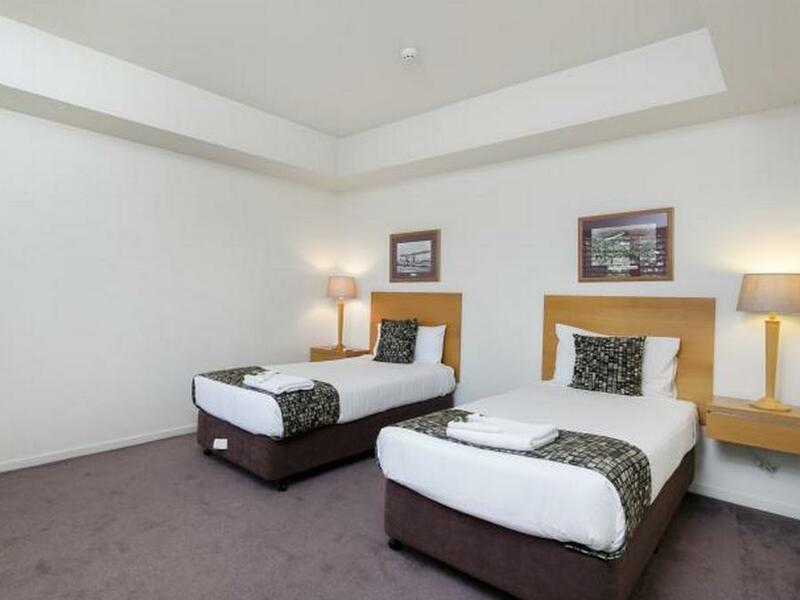 إن Kingsford Smith Motel هو خيار ذكي بالنسبة للمسافرين إلى بريسبان، بما يوفره من إقامة هادئة ومرحة. تسجيل الدخول بين 06:30 AM و 09:00 PM. الضيوف الذين سيصلون خارج هذا التوقيت يطلب منهم التواصل مع العقار مباشرة قبل الوصول لترتيب هذا الأمر. Ideal to relax a day prior to a flight. Close to all off airport parking in addition to its own airport shuttle. Walk to Portside with its many restaurants and bars. Staff really friendly and helpful. We will return. I love these guys only motel I've stayed in where they go out of their way for early bookin , they even have a free shuttle bus if you are a cruiser....great location as well we will always stay here when ever we book a cruise. This hotel was great. The value for money, location to some great dinning at the warf were fantastic. Very clean hotel and well looked after. The manager team were both great, a husband and wife team who give you dinning advice and were very helpful. Good job. Well located with regard to flying in a nod out of zbrisbame Airport. very clean and sizable room with decent bathroom. Staff are very friendly and helpful. They also offer free transport to airport. Always stay here. though the very unprofessional and careless staff of Agoda made a terrible mistake-- they received my money but cancelled my order-- so that I cannot check in when I arrived at Kingsford at very late in a really strange country for my solo travel as a lady, the manager was very kind to help me and gave me a room. And in the next morning, the motel provided me the free shuttle bus service to the Portside Wharf though I forgot to book the service before. 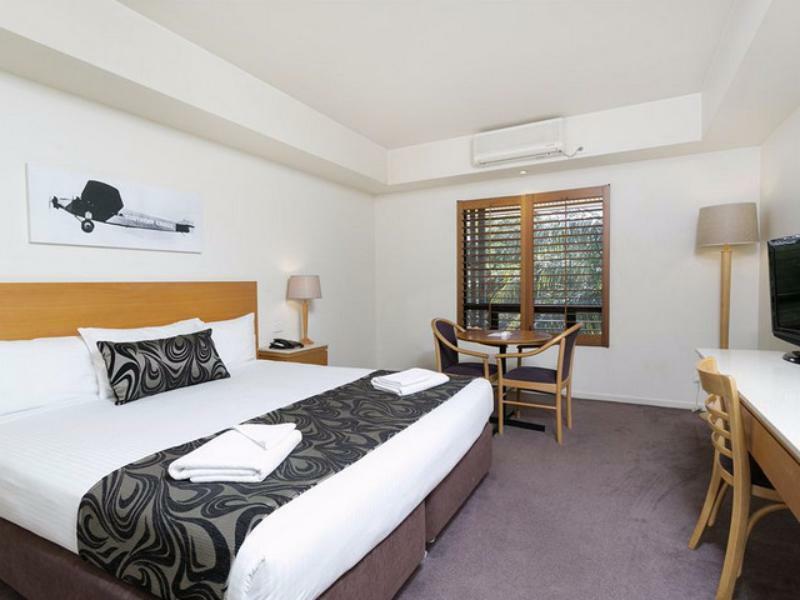 Though the staff of Agoda promised but actually did not contact with me later, I cannot refuse to recommend the really good Kingsford Smith Motel for pretended travellers. WE wanted somewhere near the airport but not on top of it and presumably quieter. 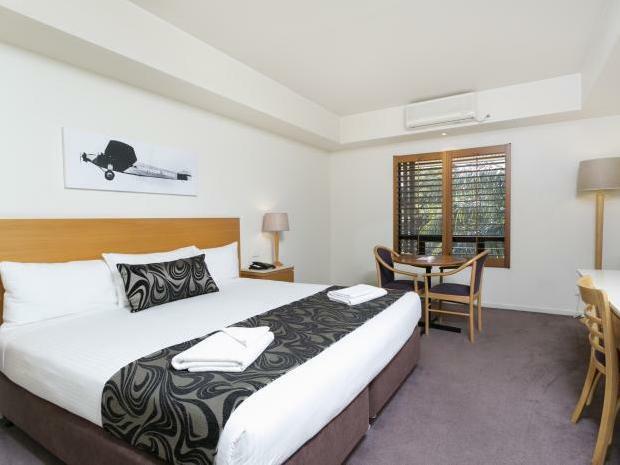 THis hotel was perfect with a great choice of foodie breakfast offerings a short walk away. MAnagement were very on top of things as well as helpful and friendly. ROom and amenities were just right. I had a lay over in Brisbane for one night. Despite me arriving quite a while before the normal check in time (about 1130 am if I recall), the management were outstanding and had me in a room directly. Additionally, the service was great and they were very happy to pass on information about the area (where to eat etc). I will certainly be back when I next lay over in Brisbane. We stayed at the Motel 2 days before we boarded our cruise ship and 1 day after and during that time the hosts were very helpful and pleasant at all times. We would stay there again and recommend it to our friends. We stayed four nights in mid-February 2015 and found the staff very eager to help provide us with a comfortable home-away-from-home. Our room was spacious, and the king bed the right degree of firmness. We would definitely stay again when next in Brisbane. We stayed here following an event at Portside. Staff were very friendly and accommodating. Hotel was clean and facilities were good. Would absolutely stay here again if doing things in and around Hamilton. Had one day transit in brisbane. We could not find the hotel shuttle from the airport. It coast AUD25 for a 5-mins-ride from airport to the hotel. No airport shuttle from the hotel when we left either. I arrived late and for an airport Hotel was surprised to find thatb there was no-one on reception. However, aftaer a quick call I was directed to the Key box and my card was there. In the morning I left before the reception was open. A clean hotel - OK for a sleep otherwise nothing to suggest it to anyone. 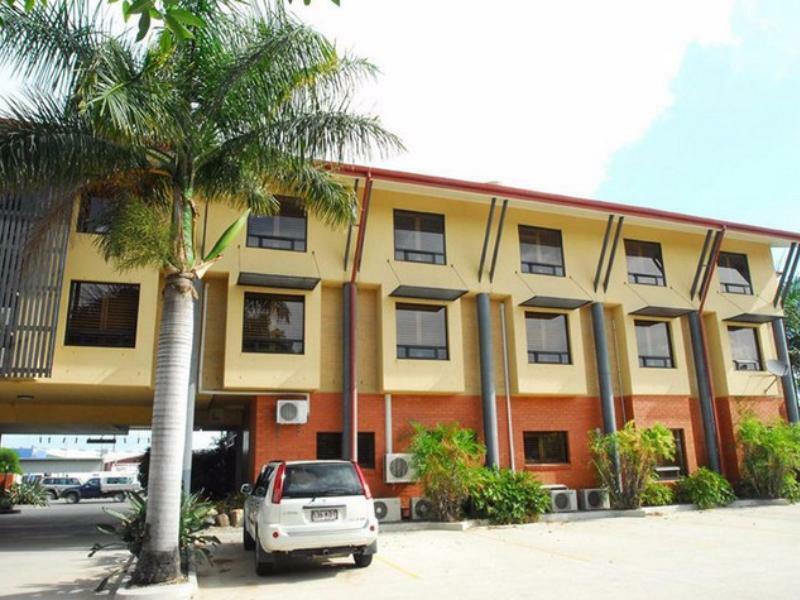 Very clean, modern rooms, well run establishment with friendly helpful staff.